Prime Minister Narendra Modi on Sunday congratulated all players, who have won medals for the country in the ongoing 18th edition of Asian Games in Indonesia and said that it is a "very positive indication" that most of these medal-winners hail from small towns and villages. "I wish to congratulate all players who have won medals for the country. I extend my best wishes to those players who are yet to compete. Indian players are performing exceedingly well in shooting and wrestling but our players are winning medals in those competitions too, in which our performance has not been so good earlier- like Wushu and Rowing. These are not just medals but an evidence of the sky-high spirits of the Indian players," Prime Minister Modi said in the 47th edition of his 'Mann Ki Baat' radio programme. "Among those winning medals for our country are a large number of our daughters which is a very positive sign; so much so, that youngsters of only 15-16 years of age have brought honour to our country by winning medals. This too is a very positive indication that most of the medal-winners hail from small towns and villages and these players have achieved this success by putting in sheer hard work. We shall celebrate National Sports Day on 29th August and I extend my best wishes to all sport lovers and also pay my tributes to the legendary hockey wizard Shri Dhyanchandji," he added. So far, India has won 31 medals in total, including seven Gold, seven Silver and 17 Bronze in the Asian Games. 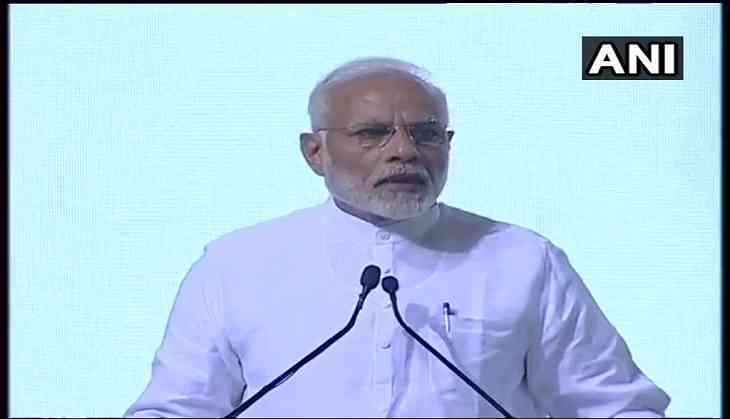 Meanwhile, Prime Minister Modi hailed former Prime Minister Atal Bihari Vajpayee and said: "In a way, he was cut-off from active politics for the last 10 years. He was neither seen in the news nor in public life. Ten years is a huge gap but on August 16 (when Vajpayee passed away) our country and the whole world witnessed that there was not a gap of even a single moment in the common man's heart. The wave of love and faith that spread across the nation is an indicator of his great personality." Prime Minister Modi further recalled how Vajpayee brought changes in India's "political culture". "His efforts to mould it into an organised framework and which proved very beneficial for India and a bigger benefit will accrue in days to come. This is certain. India will remain ever grateful to Atalji for bringing the 91st Amendment Act, 2003. For many years in India, the political culture of forming a very large cabinet was being misused to constitute jumbo cabinets not only to create a divide but also to appease political leaders. Atalji changed it," Prime Minister Modi said. "Atalji was a true patriot. It was during his tenure that the timing of presenting the budget was changed," he added. Vajpayee, the 10th prime minister of India, breathed his last on August 16 evening. He was cremated on next day of his demise with full state honour at Smriti Sthal in the national capital. Prime Minister Modi further lauded all the Member of Parliaments for holding a "productive" Monsoon Session in the Parliament. "Whenever a discussion about Parliament is there nowadays, it is about hold-ups, noisy scenes and stalling the proceedings but when something good happens, it is not given much importance. The Monsoon Session of Parliament ended just a few days back. You will be glad to know that the productivity of Lok Sabha remained 118 percent and that of Rajya Sabha was 74 percent. All the members rose above party interests to make the Monsoon Session most productive and this is why Lok Sabha passed 21 bills and in Rajya Sabha fourteen bills were passed," Prime Minister Modi said. "This Monsoon Session of Parliament will always be remembered as a session for social justice and youth welfare. A number of important bills beneficial to the youth and the backward classes were passed during this session," he added.